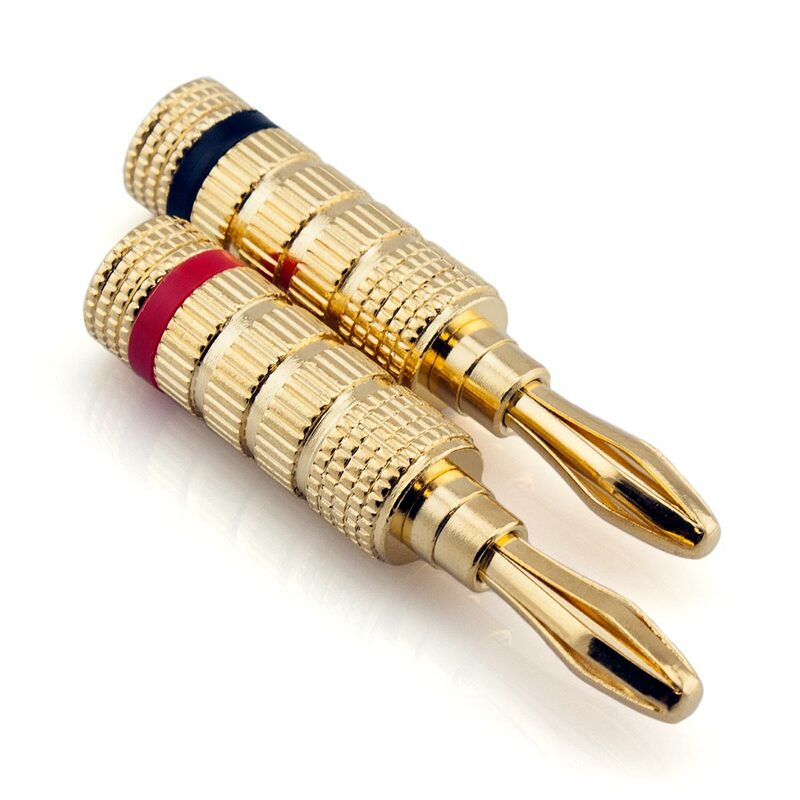 These UltraLock™ Banana Plugs are so visually stunning that you won't know whether to use them to connect your speakers or as an ornamental display piece. 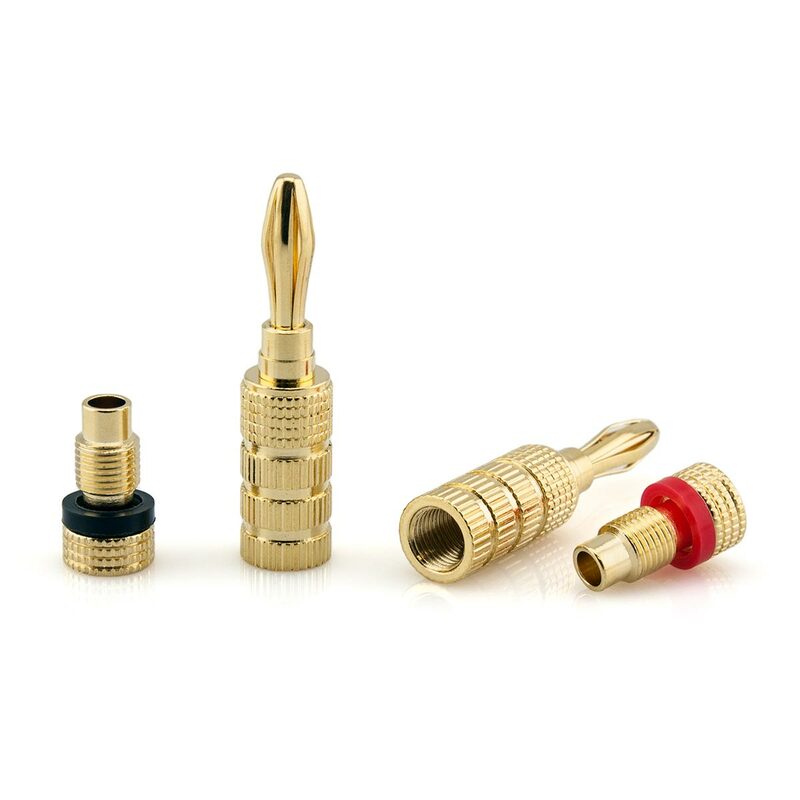 Precision engineered to attain the highest level of audio performance, these plugs are the perfect choice for your home theatre or hi-fi. The solderless design means that installation can be completed in the shortest time with absolutely no tools required. 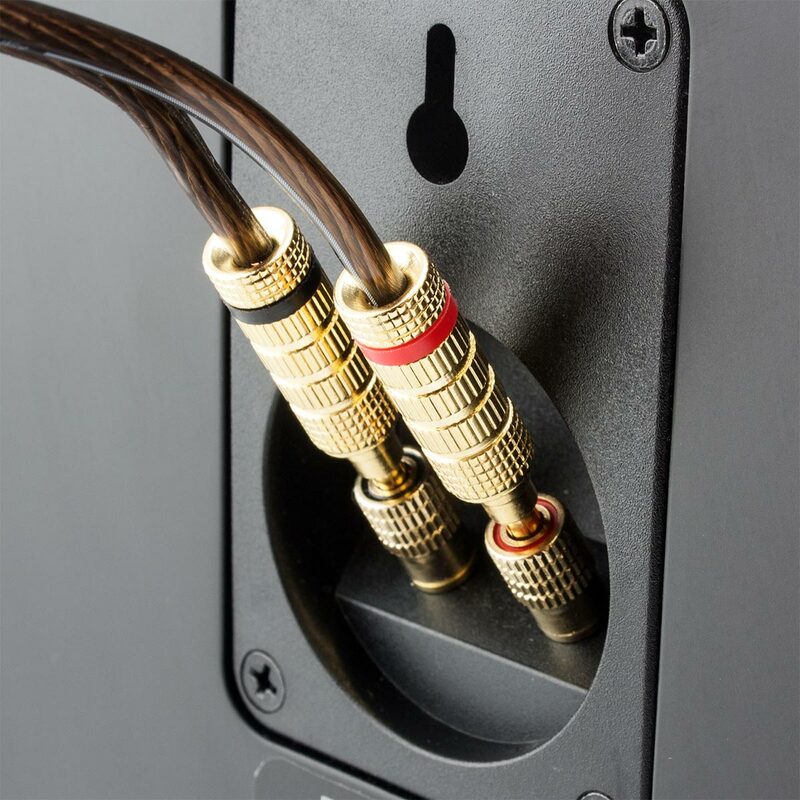 Once the unique clamp design locks onto the speaker cable, you will be presented with the perfect termination. This works by inserting the cable into the rear section of the Banana Plug. The top section then screws down onto the rear section, which acts a clamp to secure the speaker cable. 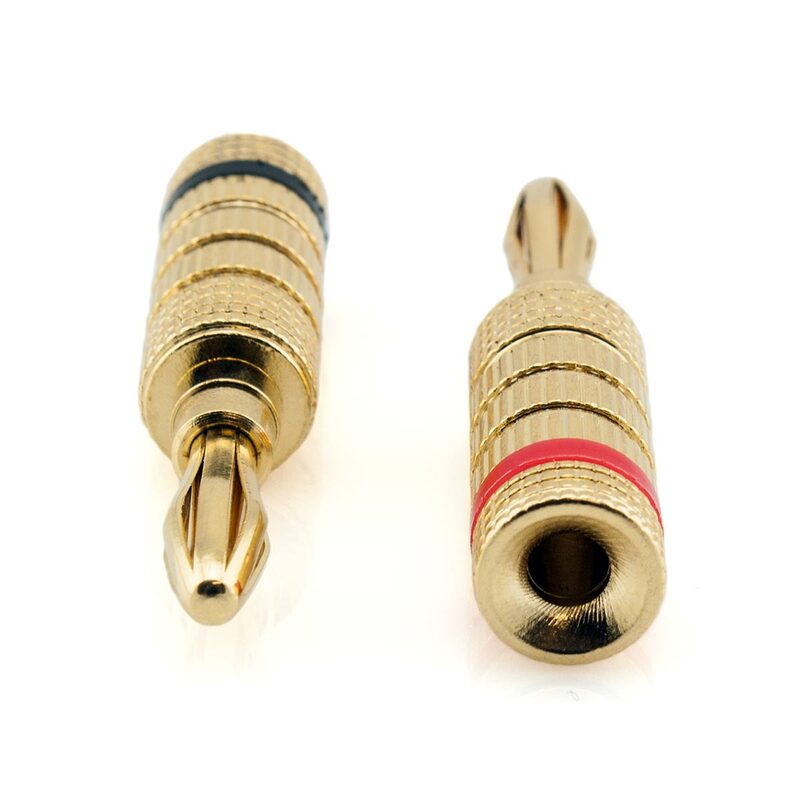 To ensure longevity and long term performance, these Banana Plugs feature a layer of 24k gold plating. Got 8 of these plugs a while ago for some 12Ga wire. The installation was not as straight forward as I thought as I had never used the screw-lock type before. But once it was figured out the hold on the cable was very good. They don't unscrew themselves from vibration like some of the cheaper ones you can find online. Still going strong.